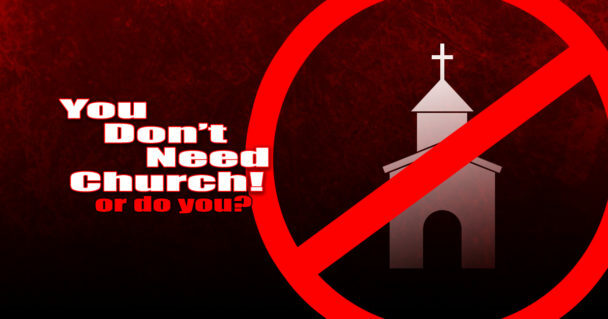 Is it true that you don’t need to be a part of a church in order to follow Christ? Why is Jeff judging Dave? The Bible never tells the church to punish someone who asks for forgiveness. So, what is “a church”? Primarily, it is a local gathering of Christians committed to each other and meeting together to do important business of God! Part of God’s business is unity among people who believe. Ephesians 4:11-16 – the Church is a body! Verse 13 basically says this: The goal of Church and my faith is to reach unity with my fellow followers of Jesus, to know Jesus, and become mature like Jesus! The purpose of Pastors and teachers is to give you what you need to achieve those goals. FIRST: must speak the truth, in love, to other Christians to help achieve our goals of unity and maturity. SECOND: must be willing to accept correction from people in my Church too.